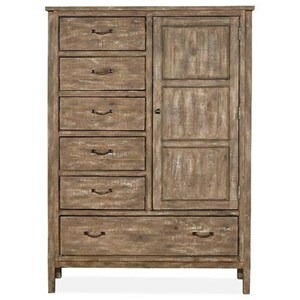 Add an abundance of storage and a touch of inviting rustic style to your bedroom with this striking chest. 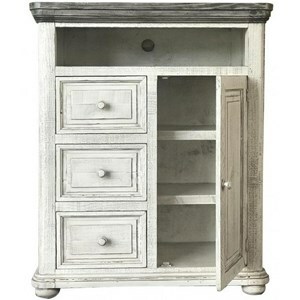 Five drawers and one large door offer more than enough space for clothes and extra bedding. 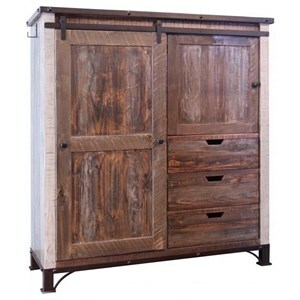 The solid wood construction of this piece adds an extra touch of authenticity and durability that will help you complete the bedroom of your dreams. 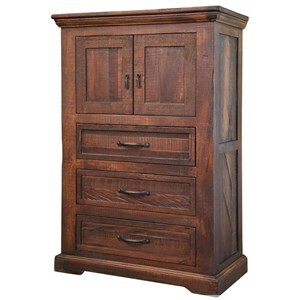 The San Angelo Rustic Solid Wood 5 Drawer and 1 Door Chest with Doors by VFM Signature at Virginia Furniture Market in the Rocky Mount, Roanoke, Lynchburg, Christiansburg, Blacksburg, Virginia area. Product availability may vary. Contact us for the most current availability on this product.